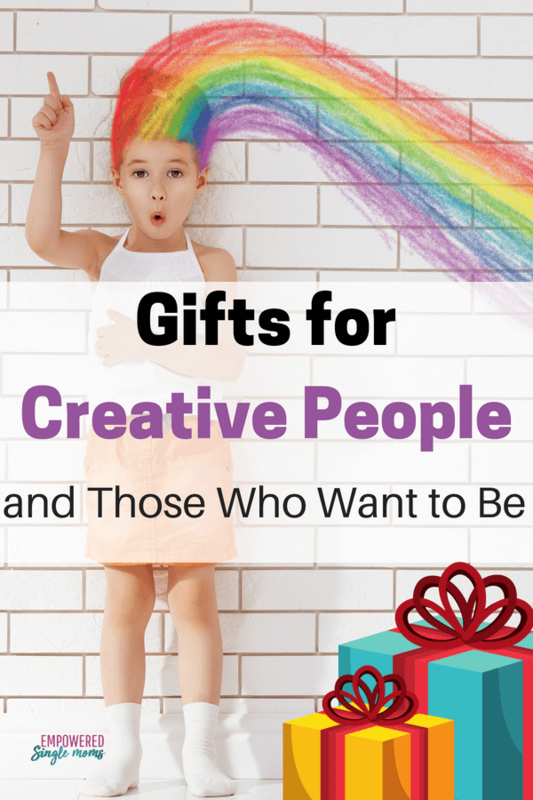 Inside: Over 37 gifts for creative people or those who wish they were. I never used to see myself as creative, but I wanted to be. I admired people who were creative. 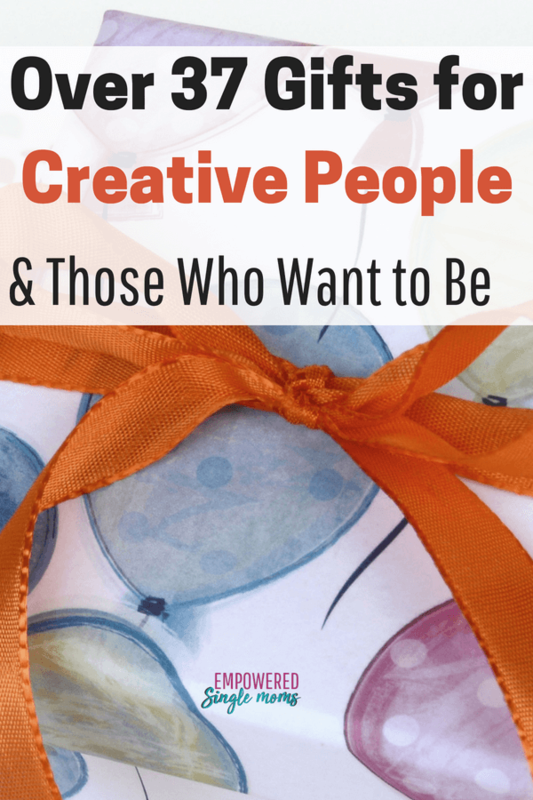 Yes, it helps to have some talent, but there are many different kinds of creativity. If your friend can’t draw maybe she can write or try her hand at candle making, soap making or quilting. 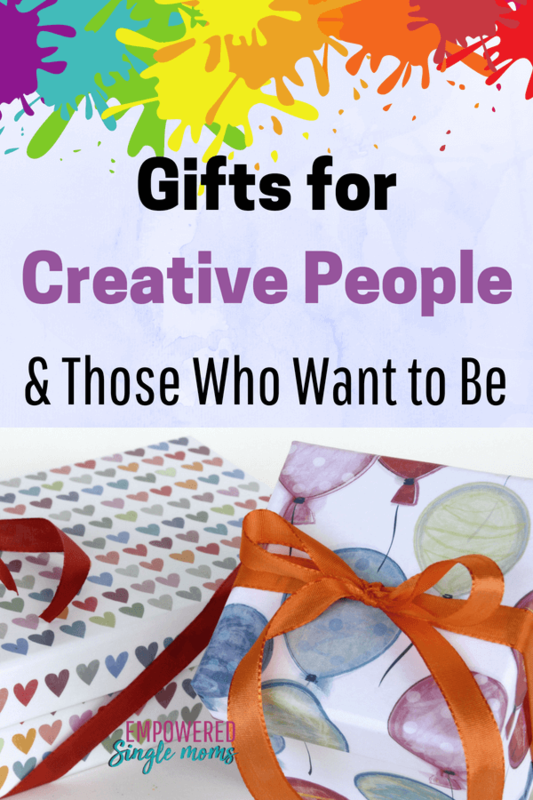 This list has something for everyone whether it is your most creative friend or the creatively challenged. There are so many things you can do with these paint, draw or try doing a dirty pour. No time to sit and read give the gift of Audible. Try Audible and Get Two Free Audiobooks . Do you have an aspiring maker on your list, someone who wants to be crafty, but never is quite able to get around to it. Give her the gift of a craft night, bring the supplies and make a simple project together. In case you lack inspirtion I put togehter a list for you. The time you spend together will be the best part of the gift. Candle Making you can get the kit here or a melting pitcher, wicks and wax here. This increases strength and tone in your hands. Great especially for those who play string instruments. I love this quirky pencil holder for the guitarist on your list. Do you have a photographer on your list. This is a handy way to print some of those pictures on your phone or Facebook. Do you have a friend interested in quilting? She doesn’t need to make a huge quilt she can make a table runner or wall hanging. Notice there are even quilt in a day projects. Maybe suggest a quilting weekend and several of your friends can have a girls weekend and try your hand at quilting. Gifts for the builder on your list. They can’t be beat for imagination and building things. Keep an eye out at garage sales you can usually find some for sale there. In case you don’t have time to treasure hunt at garage sales the book above and this set will get your kids or those who are kids at heart started. Related: Do You Know How to Have a Fun & Cheap Single Parent Holiday?